Last night I told Darling Husband that I’d try to read some of the books already bought before acquiring more. Abiding by that resolution, offered unprompted, without pressure and sincerely meant at the time, hasn’t gone so well today. Yes, indeed, the Book Addict extraordinaire was let out to play! 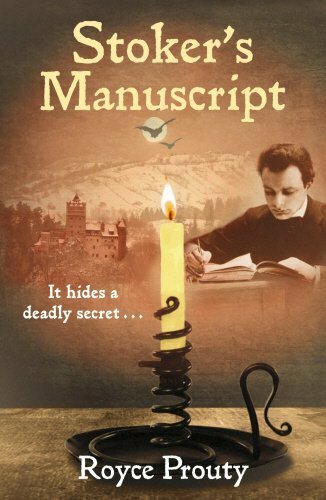 It was all started by my friend and fellow bookseller, Catherine Hawley, who had the audacity to tweet a link to new releases from a publisher, Victorian Secrets, which I had not come across before. I am a huge fan of Victorian, especially late 19th century, literature so I couldn’t resist taking a look. Victorian Secrets is ana independent publisher with an impressive list of books from and about the 19th century, produced as much as a labour of love as a commercial endeavour, with strong leaning towards otherwise out of print works by Victorian writers a risk of being unduly forgotten: “Mindful that large publishers are interested only in canonical authors, we devote much of our free time to ensuring that important novels aren’t lost to posterity”. A quick glance at Victorian Secret’s catalogue confirms that is not an empty promise. 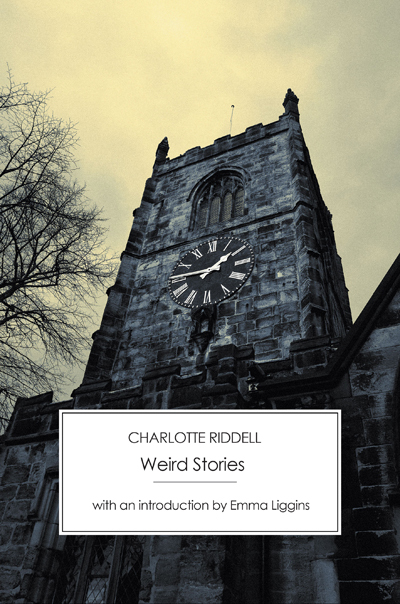 I chose just one book, a copy of Charlotte Riddell’s Weird Stories which promises also a decent introduction by Emma Liggins. Riddell was close to be being a Victorian publishing sensation. Popular and influential in her time, she published some 56 novels and short story collections as well as editing and co-owning one of the most prestigious literary journals of her day – St James’ Magazine – yet she’s been largely overlooked by readers and publishers alike for the last few decades. Having recently read and enjoyed T G Jackson’s Six Ghost Stories (published some 40 odd years later, but with a retrospective Gothic tone), this seemed a good choice. But I could have chosen several more – Margaret Harkness’s A City Girl, published in 1887 under the pseudonym John Law is tempting. Set in late Victorian London it recounts the experiences of a poor East End seamstress seduced by a middle-class man, and this edition includes not only a scholarly introduction but also the authors correspondence with Friedrich Engels. Then, on my way home from work, my tube service was unexpectedly ‘paused’ at Gloucester Road. What better reason does one need for a visit to Slightly Foxed‘s delightful bookshop, just a few short steps from the tube station. And anyway, it was nearly a year since I’d visited, so I just had to. Striding along the road, I determined to forgo browsing the new books on the ground floor and to make my way directly to the second hand shelves in the basement. This is a tranquil haven of delight for book lovers, the perfect place to feed a book addition, with a well-curated and clearly cared for selection on packed shelves stretching from floor to ceiling and a central den with a comfy sofa and flowers on a side table where one can browse at leisure. My resolution almost held out – that is until I spotted that Slightly Foxed are now stocking Peirene books (I collect, in a very haphazard but acquisitive manner, Peirene books, along with Persephone Books, Virago, old Penguins and, now I suspect those of Victorian Secrets too). I could not pass up the opportunity – Peirene publish the finest foreign fiction in translation, and it volumes which can just about be read in a single sitting. 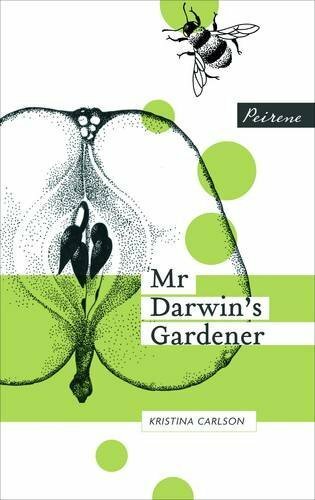 So a copy of the intriguing-sounding Mr Darwin’s Gardener by the Finnish author Kristina Carlson is held for me at the desk while I browse downstairs. It’s all too easy for time to race away in a good second hand bookshop, but doubly so in Slightly Foxed. I browse and browse, spend a very pleasant 20 minutes on the sofa trying to decide if I’m going to buy an early 20th century history of Surrey, in a super art deco-ish binding, but eventually re-shelf it: at £25 I thought it was a little on the pricey side and anyway the book didn’t give Wimbledon, my real interest, more than a few passing mentions. I also spent some time considering whether to take their copy a literary companion to Parliament (Parliament is another collecting area, but in this case for professional rather than personal reasons). I didn’t. The pages were slightly tanned, which always interferes with my reading pleasure, and I reckoned it wouldn’t be too hard to find a brighter copy. 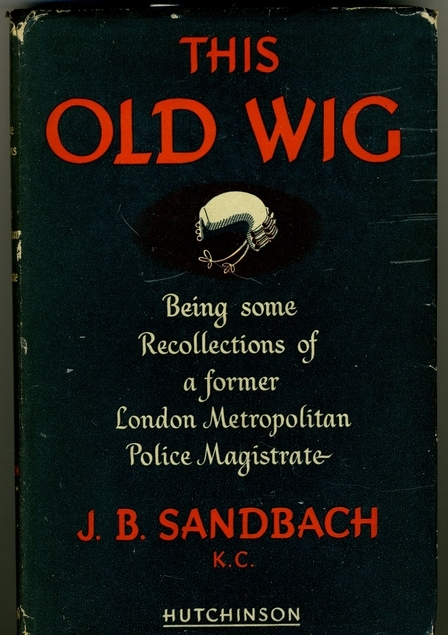 But as I climbed the rather narrow stairs back to the ground floor, I did have another book in hand: This Old Wig, Being some Recollections of a former London Metropolitan Police Magistrate by J B Sandbach. Not a book I’d come across before, nor an author of whom I’d heard, but this is a delightful gem of a book, full of personal reminiscences, reflections on criminal justice and quirky takes on famous murder cases and routine offences. When I finally arrived in Wimbledon it was raining. Hard-hurtling raindrops, bursting like fountains on ground fall So rather than walking along the High Street to the grocery store to buy something for supper, the longer route through the covered shopping centre promised keeping dry The only book shop in the shopping centre is a discount store selling ‘bargain books’. I don’t often go in, having learnt from experience that they rarely stock much of interest to me and, when they do, the books are often a bit battered and torn, which puts me off. But today they were having a closing down sale (ahead of relocating, it turns out, rather than closing). I emerge with SEVEN more books. Head of State by Andrew Marr, chosen because I usually find Marr erudite and readable (a rare combination). 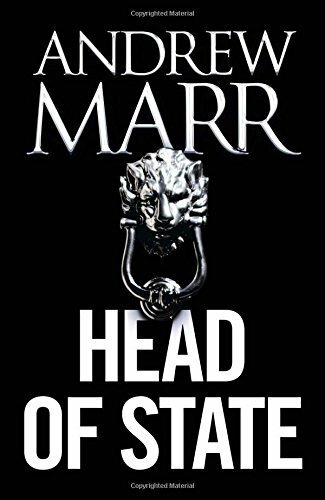 Head of State is his first novel, and according to the blurb, combines two themes which appealed – it’s a crime novel offering ‘an irreverent glimpse behind the parliamentary curtain’. 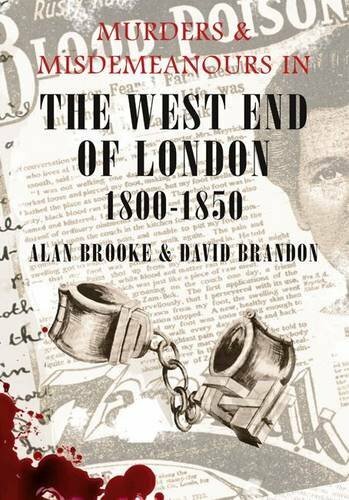 Murders and Misdemeanors in the West End of London 1800-1850 by Alan Brooke and David Brandon. An unpromisingly produced book, it appealed to my triple obsessions with London’s history, historic crimes and Victorian times and morality. 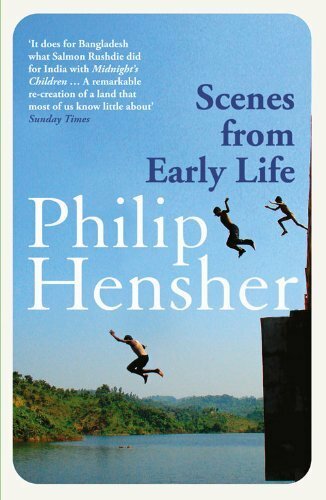 Scenes from Early Life by Philip Hensher. I’ve never really sure whether I enjoy Hensher’s novels but I’ve read several now and always find them intriguing and thought-provoking. And his writing at times touches on exquisite. Burial Rites by Hannah Kent. Several friends have recommended this book so I thought I should give it a go. Or at least have the option to do so by putting a copy on the shelves. 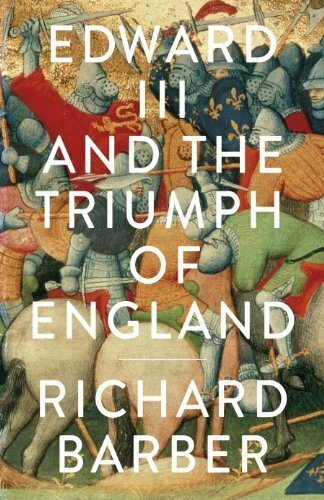 Edward III and the Triumph of England. A book which has long been on my wish list but never quite seemed to reach the top. I was delighted to find it in the sale so snapped a copy, but was a little surprised to find it had been remaindered. Stoker’s Manuscript by Royce Prouty. I have no high hopes of enjoying reading this. It’s been so cheaply produced – poor quality paper, crude cover of the sort one associates with the stock covers of self-published works – that one is tempted to think that the publisher, Random House, didn’t have enough faith in its quality to pay anything other than the most basic production costs. But the blurb says its a story (presumably entirely fictional) about authenticating the original draft of Bram Stoker’s Dracula, and I’ve just read Dracula and am working on a blog post on the discovery and subsequent sale of the real manuscript, and though this might provide some decent counter-context. Alexander McCall Smith’s retelling on Emma. I’ve pondered on reading this several times – I love Emma and have enjoyed several of McCall Smith’s mysteries in the past – but had been put off because I’ve been disappointed so many times by retellings of and sequels to classic novels. At bargain/sale prices though, it’s a risk worth taking. That’s ten! I think that proves addiction. I’d call all of that wise investment in your personal library; but of course I understand that finding houseroom and enough reading hours for all the lovely books in the world iis tricky to say the least. Slightly Foxed sounds like my idea of heaven, how I wish I could visit. I don’t think we ever get over a book addiction once it’s settled in so the only thing to do is enjoy it!